On Wednesday (October 8th, 2014) the Swiss government rolled out a protocol for tax exchange agreements with other countries. Although much of the world media attention has been directed at FATCA, the U.S. Foreign Account Tax Compliance Act, many other countries are also negotiating tax exchange agreements and treaties. 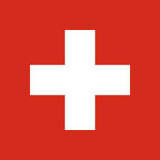 The Swiss Federal Council is expected to approve agreements with both the United States and the European Union. The government also says it will negotiate with other countries for which it shares close ties. The government’s Federal Department of Finance is drafting new implementing legislation which will need to be approved by the Swiss Parliament. In recent years, Switzerland has been trying to balance its history and tradition of bank secrecy with the need to comply with a growing global demand for financial transparency. At times Swiss banks have advocated for greater cooperation since they are increasingly the target of criminal prosecution by the IRS and U.S. Department of Justice. Earlier this week we wrote about Raoul Weil, a former senior executive of UBS. Swiss bankers that have been subpoenaed to testify in that trial can’t testify from Switzerland for fear of violating Swiss secrecy laws yet can’t leave the country for fear of being arrested by U.S. marshals. Recently the Swiss government affirmed its commitment to the Organization of Economic Co-operation and Development to participate in a global transparency and exchange initiative. The devil of course is always in the details. Many members of Parliament, reflecting the political mood of the country, are reluctant to give up centuries of bank secrecy. Parliament and bankers want to make sure the information is only used for tax purposes. Banks want some help in on-going investigations by the IRS. There are many interests that Parliament will need to consider yet the Swiss remain committed to comply with FATCA and the OECD mandates. The information coming from Switzerland is often confusing and hard to follow. That makes it difficult for Americans with Swiss accounts to fully understand what is happening. Although the government, for example, has already committed to FATCA, it appears that the deadlines won’t be met absent quick Parliamentary approval. Regardless of the confusing information and media hype about Switzerland’s compliance with FATCA, know that if you have a Swiss account and haven’t properly reported the account and timely filed FBARs, time is running out. The automatic information exchange contemplated by FATCA may still be a few years off but the IRS is getting cooperation from individual Swiss banks. The penalties for having an unreported foreign account are huge. A willful violation is both a crime and also carries civil penalties of up to the greater of $100,000 or 50% of the highest historical balance of each unreported account. The 50% civil penalties are becoming the norm. or by telephone at (414) 223-0464. All inquiries kept in strict confidence.